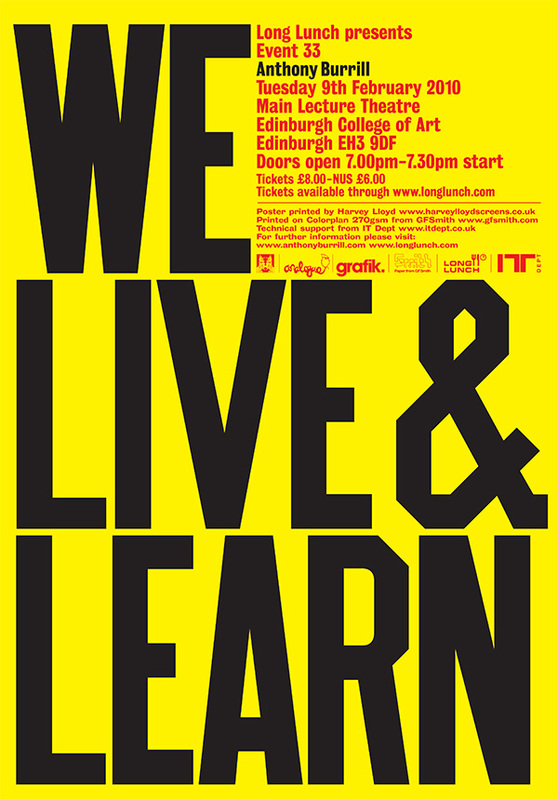 Anthony Burrill is an independent designer and illustrator who works in print, moving image and interactive, web based projects. While studying at the Royal College of Art he created his now trademark technique for direct communication and an uncomplicated style which stems from his appreciation for simplicity. Anthony is involved in numerous collaborations, and has designed campaigns for London Underground, Playstation, Nike, BUPA and the cult Hans Brinker Budget Hotel brand. He has also produced web-based projects for bands such as Kraftwerk and Air, murals for Bloomberg and recently designed the identity for KesselsKramer’s inaugural London base – KK Outlet.